Unlike most essays that discuss the history and development of the Reformation in the Church of England, this essay will focus more upon ‘official’ documents than upon major figures (i.e. Henry VIII, Cranmer, Cromwell, etc.). This is notably because the focus of this essay is the effect of a doctrinal document upon the doctrinal developments of another ecclesial communion – the effect of The Augsburg Confession of the German Reformation upon the doctrinal standards of the Church of England. The first two portions of this essay merely hope to trace the chronology of The Augsburg Confession and the English Church’s doctrinal pronouncements, acts and documents, highlighting any direct Lutheran influence, with a keen eye to the influence of The Augsburg Confession in particular. In the final section, the articles of faith concerning justification/good works and Eucharistic presence will be analysed in order to highlight the different effects that the Lutheran Reformation/The Augsburg Confession had upon the doctrinal developments of the Church of England. On 21 January 1530, Emperor Charles V declared that an Imperial Diet would convene at Augsburg on 8 April. The content of the proclamation was essentially two-fold in nature: first, reference was made to the importance of unity within the Empire in the face of the Turkish threats of invasion; secondly, the Emperor proceeded to declare that the diet would endeavour to discover what ought to be done about the division and separation in the Church caused by those who followed the teaching of Martin Luther. The Emperor hoped that the Diet would assuage divisions, cease hostilities, surrender errors to Christ, “and to display diligence in hearing, understanding, and considering with love and kindness the opinions and views of everybody…” in order to hold together “one single and true religion”. It was finally on the 11 March that the proclamation reached Elector John of Saxony. As a supporter of the reform movement which was officially condemned by the Edict of Worms (1521), Elector John realised the precarious position that he was in. As a result of the proclamation, Chancellor Brueck advised Elector John to have “the opinion on which our party has hitherto stood and to which they have adhered…properly drawn up in writing…” On 14 March, the Elector commissioned his theologians, Luther, Jonas, Bugenhagen and Melanchthon, to do just that: to prepare a document which treated especially the articles of faith which were causing division in the church, both in faith and in outward customs and ceremonies. The first results of these “confessional” efforts were presented at Torgau on 27 March by Melanchthon (these became known as The Torgau Articles and would be subsequently used by Melanchthon in the drafting of The Augsburg Confession). The documents presented at Torgau treated only of the “disputed” doctrines, including human doctrines and ordinances, communion under both kinds, the power of bishops, invocation of the saints, faith and works, and the office of the keys (the Papacy). The original intention of the Lutherans was to enter into discussion at Augsburg only about those doctrines which were under dispute. For that reason, this original document (The Torgau Articles) was intended to be a defence of both Luther and his Elector. From this meeting at Torgau the Elector and his theologians set out for Augsburg. Even in the face of Eck’s Four Hundred and Four Articles the reformers did not completely scrap their original plan (to merely defend the disputed doctrines and ceremonies) but instead expanded upon it. This was ultimately accomplished by the able hands of Philip Melanchthon who used The Torgau Articles along with The Marburg and Schwabach Articles as sources and models for the drafting of The Augsburg Confession. The Schwabach Articles. At the Imperial Diet in Speyer of April 1529, Emperor Charles V had insisted that the princely adherents to Luther’s reformation return to obedience under the papacy according to the Edict of Worms (1521). 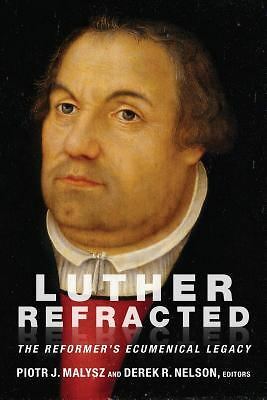 The edict forbade both Lutheran teaching and reform in the Holy Roman Empire. Landgrave Philip of Hesse, soon after the close of the Diet of Speyer, began to organize a defensive league against the anti-reformist intentions of the Emperor. Luther and Melanchthon were of the opinion that no league should be formed to defend the “reformation faith” which was not based upon a common confession of faith. As a result of this agenda, at meetings at Schwabach in October 1529 a set of seventeen articles of faith, drafted by the Wittenberg theologians, were presented. While the requirement of confessional unity proved to be the downfall of the proposed defensive league, the articles presented still proved valuable: they created a bond between the Brandenburg, Hessian and Saxon officials; they formed a basis for discussion between Saxon and Swiss theologians at Marburg; they were used by Elector John as he sought an understanding with the Emperor in the Spring of 1530; and they were used by Melanchthon in the drafting of The Augsburg Confession. The Marburg Articles. In the hope of creating another political alliance against the suppression of the “Reformation faith” as a result of the Edict of Worms (1521) and the Diet of Speyer (1529), Landgrave Philip of Hesse attempted to bring together the German Protestants and the Swiss Reformed. Accordingly, he invited representatives from both sides to his castle in Marburg in early October 1529. What proved to be most divisive at these meetings was the article of faith concerning the Lord’s Supper. In private discussions prior to the entire group coming together, Luther was paired with Oecolampadius while Melanchthon was paired with Zwingli. The participants agreed on fourteen articles which were prepared by Luther himself. But agreement eluded them on the Lord’s Supper. Still, further developments to the confession were to take place before its presentation. On 15 June, a number of other estates were permitted to join the adherents. This meant that Melanchthon’s original preface, which contained a defence of the Saxon Electors, was no longer sufficient. Brueck supplied a new preface which was different in presentation to Melanchthon’s. “This confident tone which characterizes [Brueck’s] Preface recurs in the conclusion after Article 28. …Clearly, they believe it appropriate to let the confession stand as a simple, straight forward account of proclamation and church order in the signatories’ land and cities.” Every trace of Melanchthon’s earlier “anxious apologetic” in his Preface has “disappeared” in the final draft. On the last day of deliberation, 23 June, the Confession was signed. On 25 June, the meeting of the Diet of Augsburg, Chancellor Beyer read the Confession in German and both copies (the German and the Latin) were handed over. The Emperor kept the Latin version and gave the German over in order for it to be preserved in the Imperial Archives at Mainz. On 26 June, Melanchthon sent a copy of the publicly read Confession to Luther who kept with his earlier praise and acceptance. Yet, he still had a little criticism to add. He wondered why the Confession should raise the question of how much should be yielded to the opponents, most notably to the Pope and his followers. Luther felt, on the contrary, that enough had already been yielded. Still, he would add, “…As I have always written – I am prepared to yield everything to them if we are but given the liberty to teach the Gospel.” Luther did fully identify himself, and his theology, with the Confession. He commended Melanchthon for writing an excellent statement of faith. Sources and Contexts of the Book of Concord, edited by Robert Kolb & James Nestingen, (Minneapolis: Fortress Press, 2001), 93. F. Bente, Historical Introduction to the Book of Concord, (St. Louis: Concordia Publishing House, 1967), 15. Bente, 17; Sources and Contexts, 83, 88. Leif Grane, The Augsburg Confession: A Commentary, (Minneapolis: Fortress Press, 1987), 16. + Christ Is Risen! Hallelujah! Please note that Anglican Lutheranism is alive and well in the confessional catena of The LATIN 39 Articles (as a reiteration of the LATIN Augustana-UAC), the Prayer Book Catechism (1549, & 1558-1662), and the 1549 & 1558-1662 BCP. Articles 28 & 29 in Latin, of The 39 Articles, are as totally Lutheran as the Latin Augustana-UAC. The Latin has confessional authority over the English, to provide context & meaning. 1.) TOTALLY LACKS AN OFFICIAL LATIN TITLE (the one often given is an unofficial imposition from the inferior English translation). 2.) The key word in Archbishop Parker’s creation of Article 29 (which Queen Elizabeth refused to endorse in English) is “EFFICIUNTUR” (i.e., “Efficient”, “efficacious”, “worthy”. This word is conspicuously absent from the English translation, and totally changes the meaning of the Article. This makes Article 29 actually mean that the wicked and those without a living faith, “are in no way WORTHY partakers of Christ….” rather than, “in no way partakers of Christ”. Thus, previous orthodox Lutheran scholarly consideration of Anglican Lutheranism for the past century or more has been deficit. However, 17th & 18th century Lutheran Dogmaticians often described the 39 Articles, BCP, and C of E as “Lutheranizing” rather than “Calvinizing”.